but I am constantly looking for ways of doing things on Linux. After some experimentation I created a bootable usb drive of Kali Linux with only a few commands. 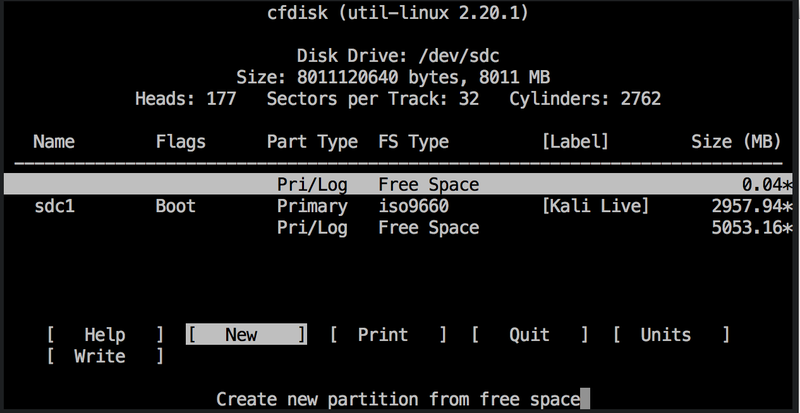 Linux is VERY good for working with disks and that sort of thing once you get the hang of it. 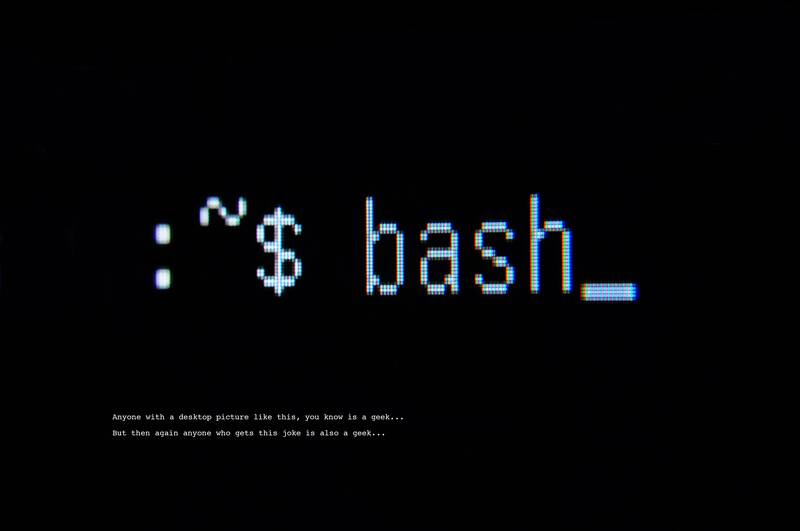 You'd be surprised at the power you can muster at a good old command line. In fact, i have found myself using more and more of the Terminal on Mac for just regular everyday stuff, like moving files rather than dragging and dropping in Finder. In this article i show you how you can create a bootable usb drive from an .iso image which you can then you to run your live Linux system from or proceed however you see fit. This should only take a few minute for you to accomplish (the bulk of the time is copy the image to disk). See which disks there are. The drive is there that wasn't before in the previous fdisk -l, is the one you wan't to use. Now we want to make the flash drive into purely free space. We will use cfdisk to accomplish this from the command line. the main hard drive, there could be irrecoverable data loss and system damage. You have been warned. 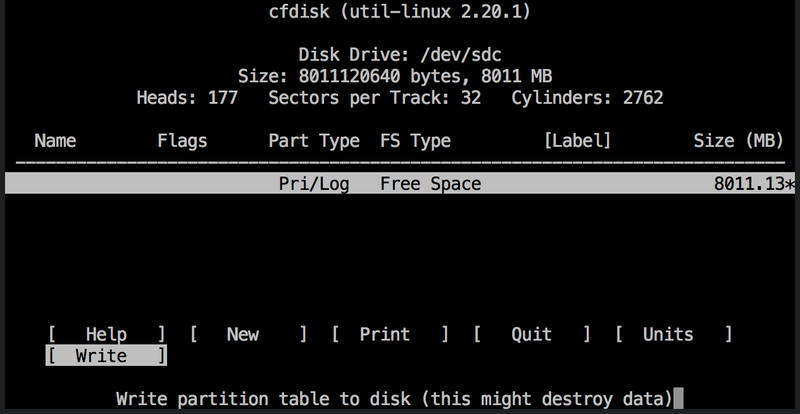 Now what you see here is the Textual User Interface of cfdisk. 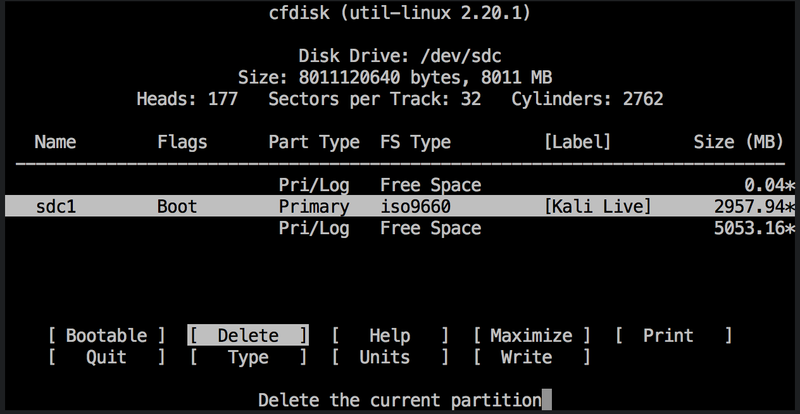 Also since i used this particular flash drive for a previous usb installation, you will see that "Kali Live" of the iso9660 type is the boot partition. We want to delete all partitions to its just free space. The rest of the process is really is waiting on one command to complete. We now want to copy the .iso to /dev/sdc or whatever device is yours. You have to wait for this to complete. DON'T STOP IT if you get impatient. For me this command took about 15 mins. The time it takes depends on a few factors. You should now be able to boot into the flash drive normally. If you wish to thank me you can comment or even consider subscribing. Otherwise, i hope this was helpful.